When an interior designer first takes on a project, lighting is almost always an issue. It is also an essential, multifaceted design feature that warrants a bigger conversation than it often gets, explains interior design principal John Day of LDa Architecture & Interiors. And the number one element corrected—for good reason. Lighting not only has an inherent warmth and brilliance—two things we want in our homes—it has tremendous versatility and breadth. When done right, lighting’s impact is “monumental,” says Day. Lighting can create a mood, set a theme, add drama or a spotlight and lend functionality to a space. There is a science and art to creating a well-lit home, and with the many brilliant fixtures in the marketplace, there is no reason to live in the shadows. 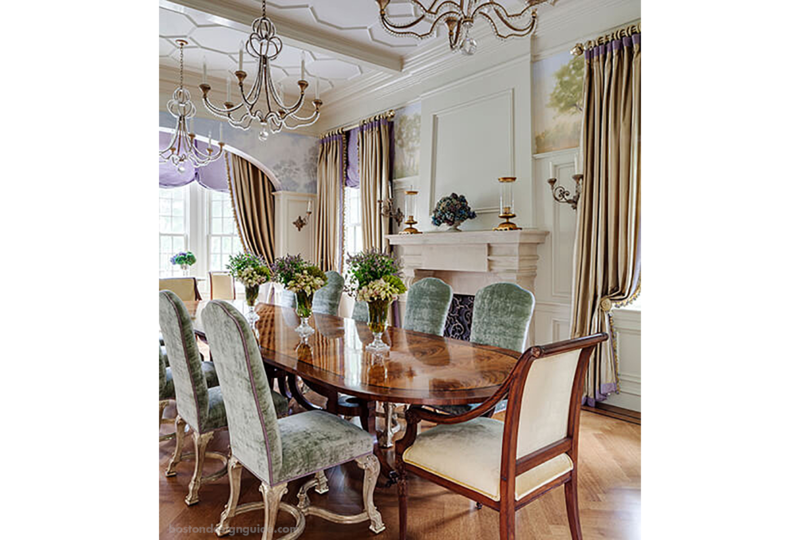 (Above) For the stunning dining room of a Colonial home in Weston, interior design studio Weena and Spook selected a variety of lamps, sconces and chandeliers for a lavish effect. 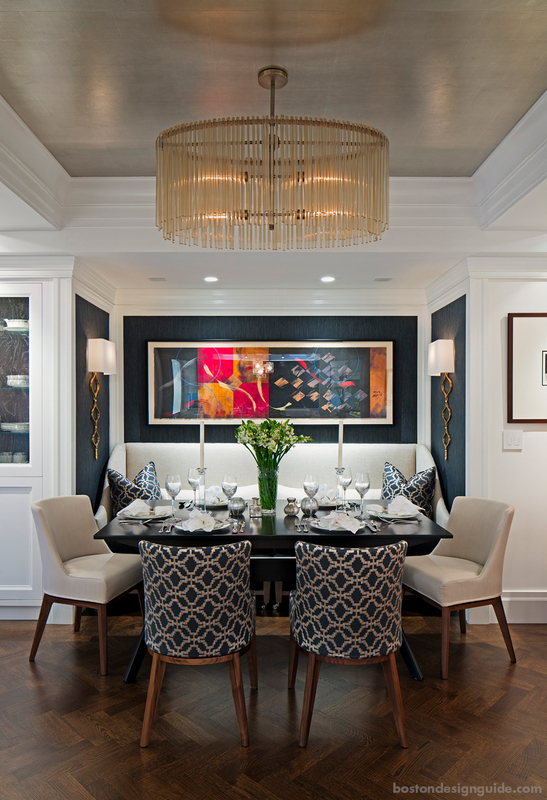 Forget seeing double, we’re seeing triple here, as the studio hung three chandeliers over the dining room table and affixed multiple double and single sconces around the space. 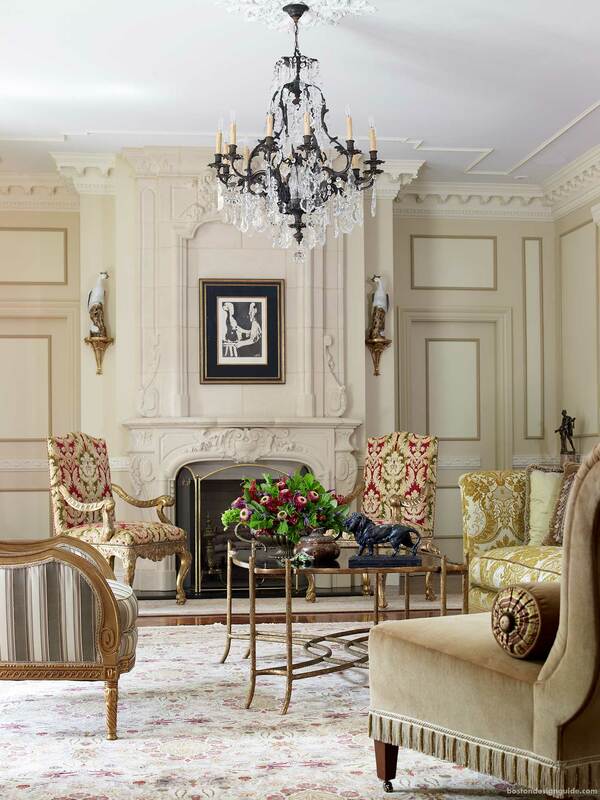 Wilson Kelsey Design also cultivates a “let there be light” philosophy for its classical interiors. This sitting room of an ambitious renovation in Beverly evokes a Parisian salon with its wealth of antiques, furniture and custom lighting including an opulent chandelier, wall sconces and table lamps. Principal John Kelsey reveals that light is paramount to their designs and that he and co-owner Sally Wilson consider the placement of mirrors and glass with regard to their fixtures. They have created rooms where a single chandelier—or at least the illusion of that chandelier—can be seen in four different places, thanks to reflections cast. Such techniques make a room seem “bigger and brighter, and with a little more sparkle and energy,” says Kelsey. 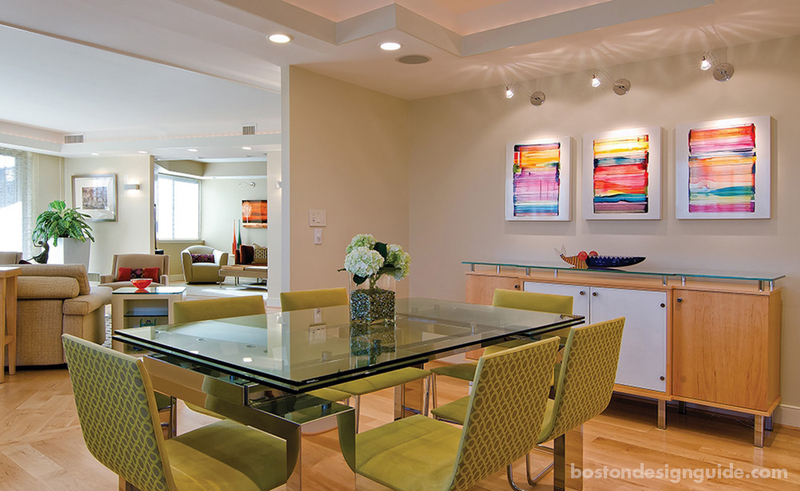 Surroundings Home follows a similar approach for its dining room design pictured above. 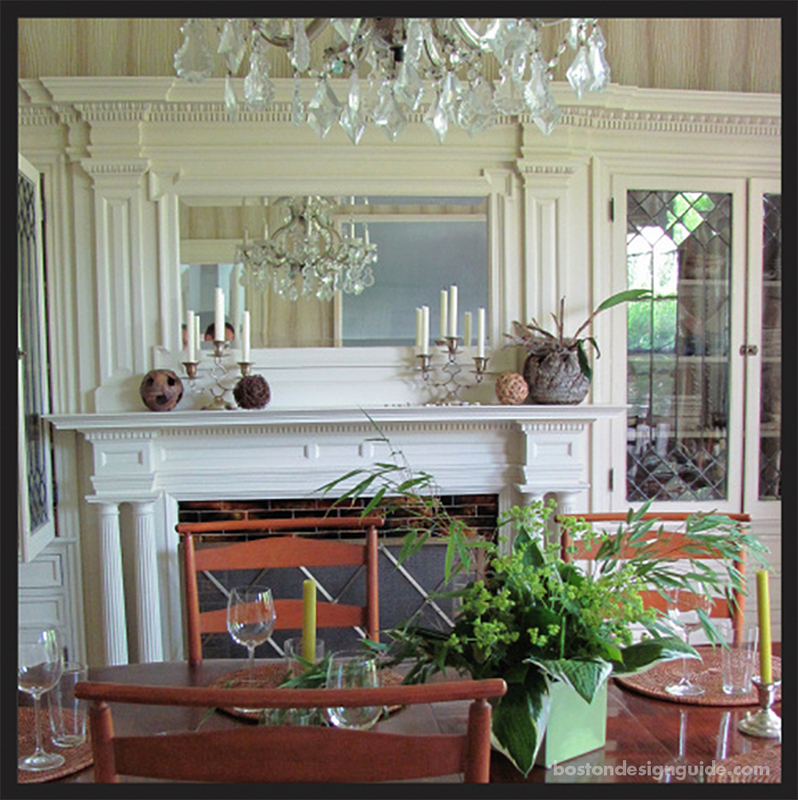 By placing a mirror over the fireplace and below the architectural moldings, the crystal chandelier that lights the table and flicker of twin candelabras atop the mantel have double the impact. 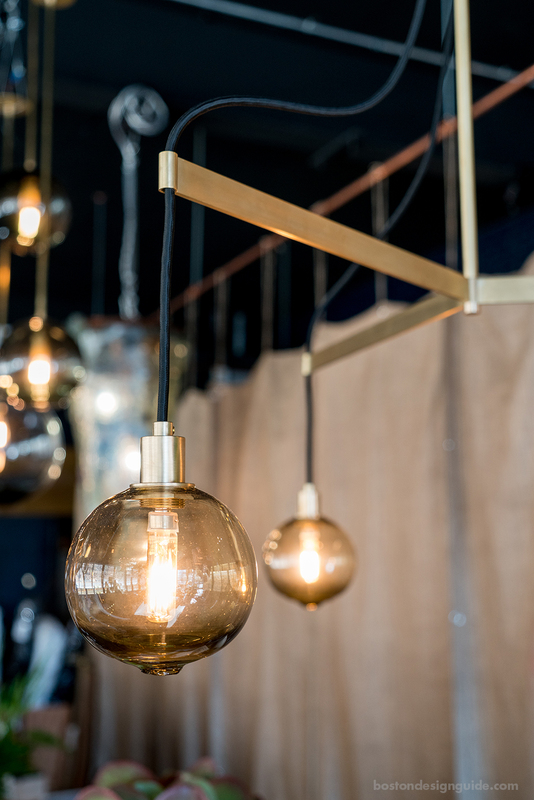 As with the chandeliers of yesteryear, statement-making fixtures continue to be a focal point in today’s transitional interiors—they just look a little different. Homeowners can afford to be trendy with lighting, as it’s easy enough to make a swap when you’re ready for a new look. In the New York City apartment above, the massive gilded chain dazzler suspended from the metallic ceiling lends a dramatic, feminine vibe to the dining area. For a bayside home with a beachy palette, interior designer Donna Elle specified a hemp, ceramic and glass bead chandelier to crown a soothing neutral living room. An art-filled contemporary home designed by LDa Architecture & Interiors called for a lighting treatment that’s a work of art in and of itself—enter 16 silk acorn pendants hung from 20-foot ceilings. The custom dropped application makes this space, and is a striking solution for how to light the cavernous room. Today’s open-concept homes can be a challenge to light, yet adding warmth and defining the living spaces is all the more necessary. Wall lighting is another way to bring radiance to today’s airy spaces, set a mood and add a sculptural appeal. 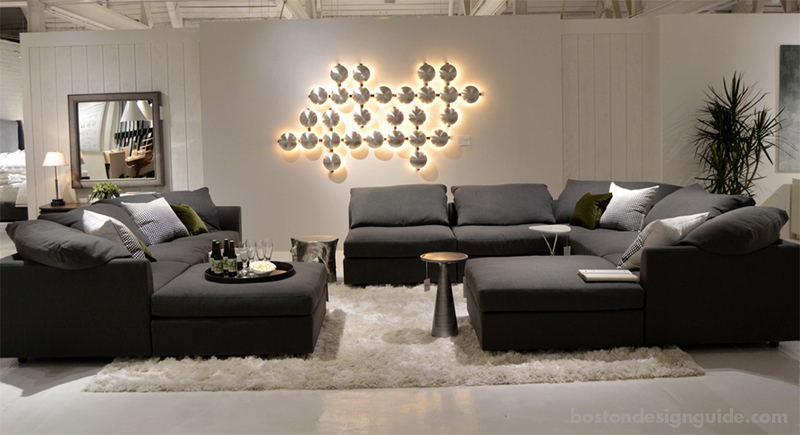 Here, Mitchell Gold + Bob Williams shows a constellation of four Vita Wall Art sconces, arranging the grid-like hammered steel discs with a nickel finish as modern art. The look is decorative and effective, particularly when paired with table lamps and used with a dimmer to alter the ambient light. Lighting can also be a complete departure from the style of a design vignette, and stand out for its artistic differences. 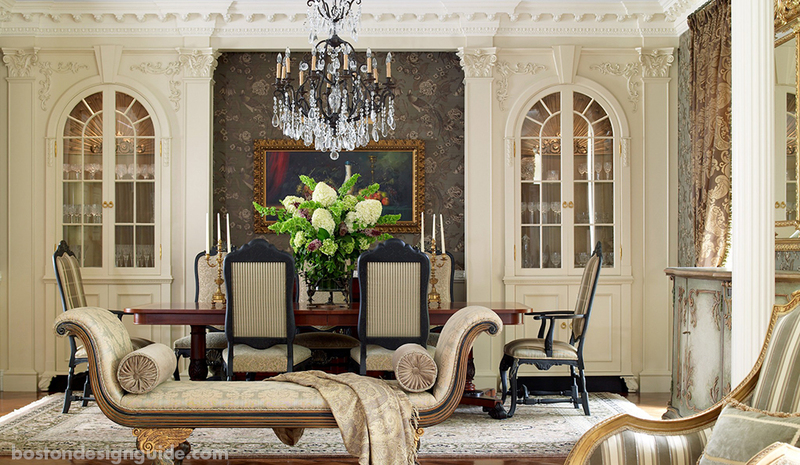 Principal Rachel Reider of Rachel Reider Interiors provides a stunning example. 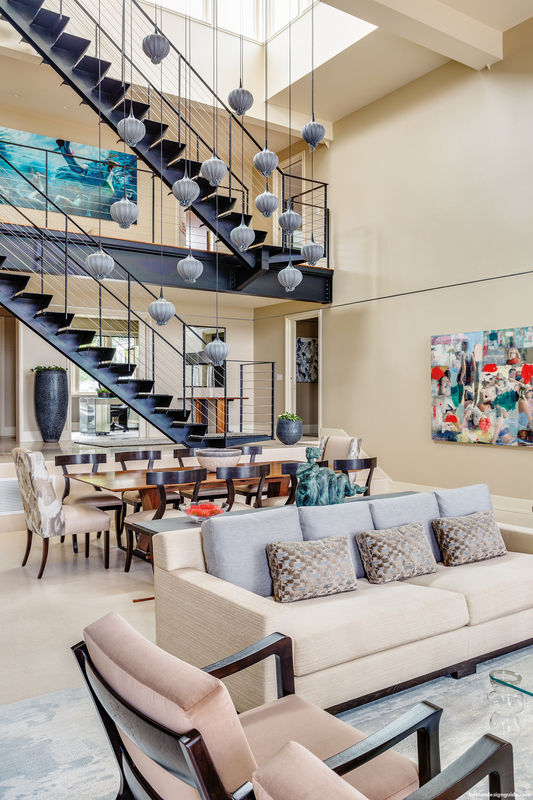 In the living room of a well-traveled client, Reider uses glowing large-scale Art Deco sconces as a foil to detailed alabaster moldings and contemporary art. Functionality is clearly a main driver when it comes to lighting a home. While overhead lighting brightens a room as a whole, task lighting illuminates a specific area or workspace. Kitchen islands today often have a string of pendants overhead partnered with architectural lighting systems to focus the stream of the light source and aid visibility. 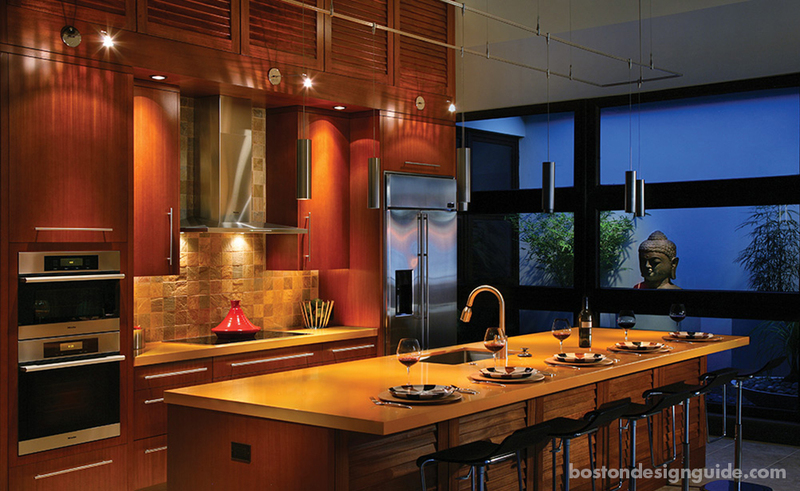 Under cabinetry lighting is also an of-the-moment trend that can have a task lighting component as well as an aesthetic benefit due to its heightened contrast. Speaking of aesthetics… Savvy lighting applications can spotlight your home accents and art in captivating ways, cozying up your space and giving weight to pieces you choose to showcase. Within interior designer Audrey Sterk’s welcoming transitional sitting area above, select cabinets contain small lights to cast a glow over corals and conch shells by the fireplace. Fine art fixtures are another way to give your collection top billing. 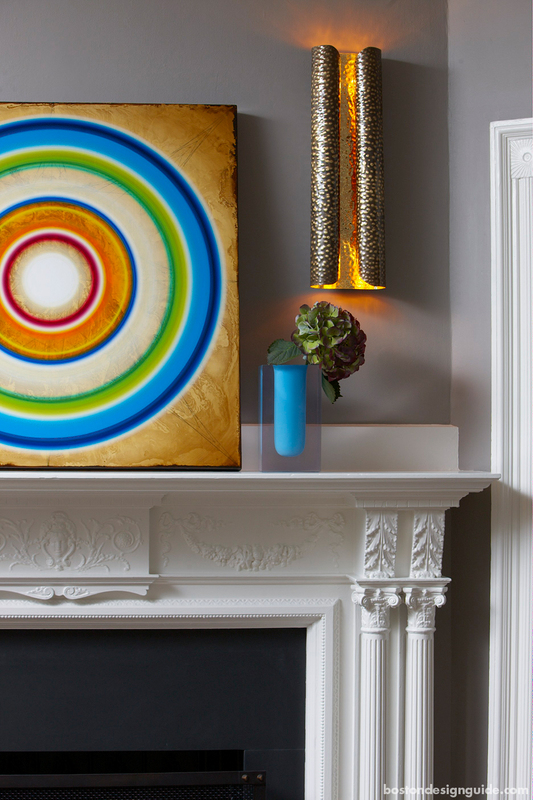 In the contemporary design above, mounted lights enliven colorful abstract paintings. Together with cove and recessed lighting, this lighting design makes the spare and clean-lined home all the more livable and alluring. Often, interior designers use lighting as a means of way finding, providing homeowners and guests with visual cues directing their path. 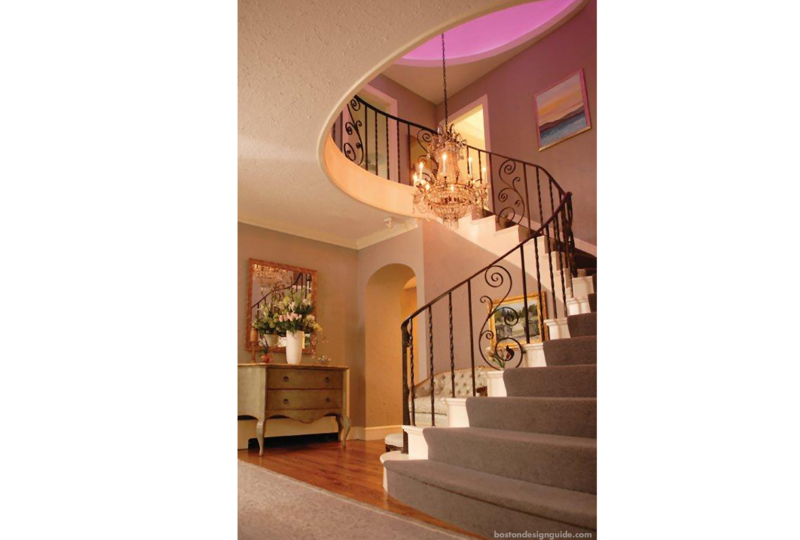 For the stairway design above, interior designer Susan Shulman pairs a chandelier with LED color lighting, beautifying the ascent to the second floor and adding dimension and drama. Shulman got in with the LED craze “at the ground floor,” she says, “and has been a proponent for years.” With LED, you can alternate colors and have myriad settings, and it’s reasonably priced and easy to change your existing cans. 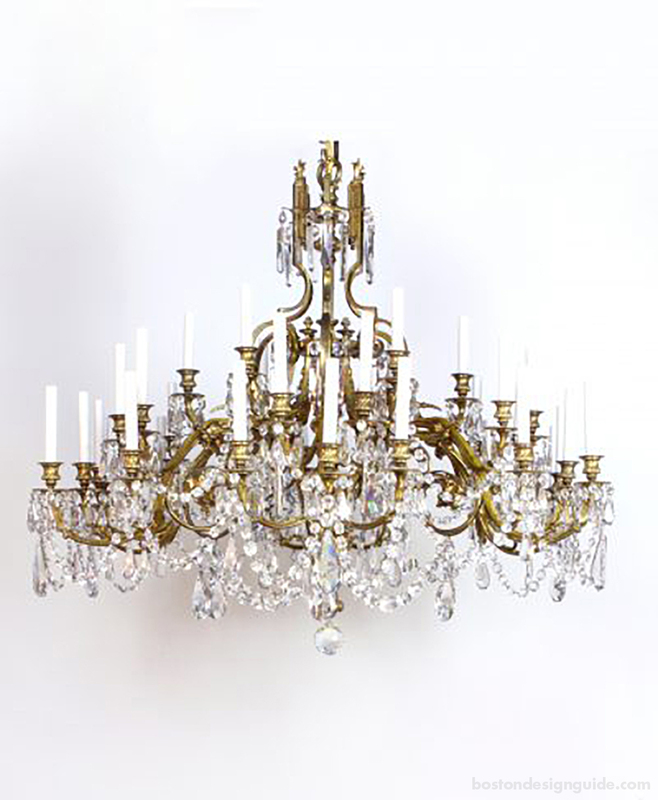 Appleton Antique Lighting’s gilt bronze and crystal chandelier has 36 lights and original candles. 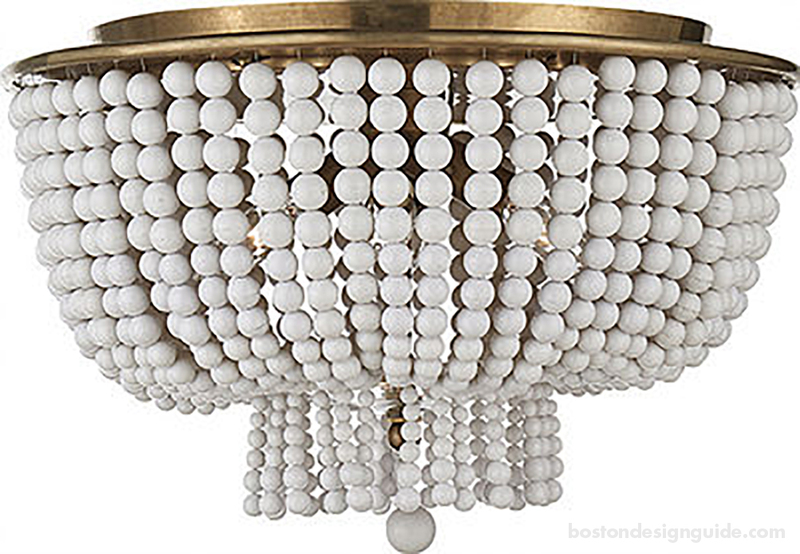 Surroundings Home's beaded chandelier is eclectic and versatile. A solid brushed brass three-arm chandelier with blown glass from Artefact Home.